Latin American countries are finally opening up to international arbitration and modernising their legal frameworks. After Venezuela, Paraguay, Chile and Peru, Argentina and Uruguay have also passed new international arbitration laws, based on the 2006 UNCITRAL Model law. In November 2017, the upper house of the Argentinian Parliament passed a bill adopting a new law based on the UNCITRAL Model law. On 4 July 2018, the bill was also approved by the Argentinian lower house (House of Deputies). The only remaining step for the bill to enter into force is the executive approval in form of ratification from Argentinian President, Mauricio Macri. The new Argentinian Arbitration Law, available in Spanish here, is a modern, UNCITRAL-based arbitration law. The departures from the text of UNCITRAL Model law are only minor. For example, parties cannot agree for the subject matter of the arbitration agreement to relate to more than one country for a case to qualify as international. Another deviation is that for an arbitration agreement to be valid, it must be “in writing” and “cannot be recorded orally, by conduct or by any other means” as provided for by Articles 14-18 of the Arbitration Law. Furthermore, the time frame for setting aside an award is reduced to only 30 days, which is shorter than the three months in the Model Law. Uruguay also required the modernisation of its arbitration laws. The only provisions governing arbitration were codified in the Civil Procedure Code. This is the first time that Uruguay has all the provisions governing international commercial arbitration in a single bill. The Arbitration Law draft, which is available in Spanish , was passed in the lower house in 2004. However, the bill was rejected by the country’s congress. In May this year, however, the Uruguay congress finally passed the bill, a significant step towards opening up Uruguay towards international arbitration. The arbitration laws, in both in Argentina and Uruguay, only apply to “international” commercial arbitration, whereas domestic arbitration will continue to be governed by the countries’ respective Civil and Commercial Codes. 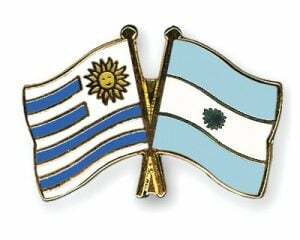 Both Uruguay and Argentina are parties to the New York Convention on Recognition and Enforcement of Foreign Arbitral Awards 1958. Argentina ratified the New York Convention in 1989 and Uruguay in 1983. Both of them are also parties to the International Commercial Arbitration Act of Mercosur. Modern and stable legal framework in Argentina and Uruguay, two leading economies in South America, will hopefully help them grow and become more popular seats of international arbitration, but may also contribute to the increasing popularity of international arbitration in the region and Latin America. Nina A. Jankovic, Aceris Law LLC.